Looking forward to this one, I hope that Shout! will follow through and release all four seasons. Just pre-ordered this one. Been on my list a long time. Ooh, all over this sucker. A very good late period western series, with a strong cast…have been waiting for this for a long time. $25 retail is a pretty good price for 28 episodes. I know this has been released before on Region 2 DVD in Europe (Germany, I believe). Does anyone here know how good the transfers were on those earlier releases? I hope Shout got some decent prints for this set. A lot of this series was shot in Arizona, with some good location work, and should look very nice if treated well. Cheers for the release date news (and cover image)! Nice to see that even in the post-Timeless era , Shout Factory is issuing classic westerns . Usually when SF starts releasing a show they complete it . They did with Hart to Hart, and also with Barney Miller. THE HIGH CHAPARRAL is being shown on Heroes and Icons and the prints are gorgeous. I have the R2 Soul Media (Sweden) complete series release of High Chaparral and they do indeed look beautiful…I agree that the Amazon pre-order price of $24.97 is very attractive for season one https://www.amazon.com/High-Chaparr…qid=1525398205&sr=1-7&keywords=high+chaparral , and hopefully sales for this encourage Shout to follow on with the rest of the series as fast as possible…just as a reference, the source prints for High Chaparral are considerably better (with truly vibrant color like The Virginian) than those found on Shout's releases of Big Valley, though those look pretty good too. I agree, it's a very good western, and sometimes brilliant on occasions. With so many of the period's great guest stars. Cameron Mitchell is one of those under rated actors. Leif Erickson, Don Collier and Mark Slade are solid. And Linda Christian, Henry Darrow and Frank Silvera represent a consistently sympathetic portrayal of the old Spanish Desert SW. Along with a balanced and often sympathetic portrayal of Apache, Navajo characters too. For me, another great virtue is the location shooting at Old Tucson, Coronado, Santa Rita, Oro Valley, Superstition and Cochise. It has the same dusty and sweaty authenticity of Rawhide because of that. (although Rawhide is superior IMHO). There are quite a few episodes on Youtube, sourced mostly from old Hallmark channel broadcasts. This one here, I believe, is taken from an R2 PAL source. Season 2 Ep 10, "The Buffalo Soldiers" with Yaphet Kotto and Morgan Woodward. Slightly lower res in the uploading, but it at least gives you an idea of the vibrant and unfaded colors of the source film elements. And also the sometimes grand, cinema scale of action sequences on the show. This episode had a much larger cast and extras than usual. But Old Tucson was a movie factory in those days, with tremendous resources to film Westerns. David Dortort of Bonanza was one of the producers of High Chaparral…And. of course, with great David Rose music! Well, with all the stalling of Gunsmoke and Bonanza, this is a bit of good news. I always found HC to have some excellent writing and characters on it. 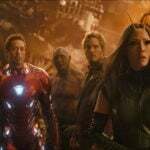 Does anybody hope that there'll be extras? Darrow and Linda are still alive, and I believe the actor who played the youngest son might be also. It would be nice if there was some material contrasting HC with Mr. Dortoff's earlier effort, Bonanza. Great news I have been waiting for this one forever. I hope they are re-mastered like the other CBS Westerns and not the usual low standard Shout has for their TV westerns with a few exceptions. Looking forward to this series. Used to tape it off the old Family Channel in the Mid 90s. I've heard of this show but have never seen an episode. I'm looking forward to this, since I've heard good things about it. Will pick this up . I loved this show growing up. I've always thought that if TV Western's ever make a return, this would be a great candidate for a reboot. anyone got this yet?or any reviews anywhere,would like to know the quality before i commit to ordering. Mine is scheduled for delivery today . Will post thoughts soon. Got mine. Looked at the extras first, and haven't seen the episodes yet. The extras are fine, but I hope they continue with more in future volumes. One talks with surviving tv western stars (Robert Fuller, James Drury) about what it was like to work on them at the time. Very enlightening, but I want more, and sadly no HC people. The second one was with Don Collier. Again very interesting, but he was having some breathing problems. Hopefully, Shout can dig up more interviews for volume 2,3, and 4. I remember hearing there was a tv western convention at some big city years ago, and they were able to get a patched telephone interview with Linda Crystal, who was/in Spain at the time. I hope somebody recorded and kept that. Hope everybody's enjoying their copies. I ordered my copy from Walmart and should be getting it and The Big Valley season two on Thursday. Have watched the first two episodes (the pilot). Series does not look remastered but does look very good. I had forgotten about the arranged marriage taking place this early in the storyline. I did not remember the ongoing continuity concerning the father/son relationship. I will enjoy revisiting this one. I need to try and ration these so I can David them. Sure hope Shout will release all 4 seasons. On the first disc, the shows look really excellent with the exception of episode three which looks like 16mm. I haven't checked the other discs but it may be one of these series with hit and miss quality. You can't beat the price for a full season though. ***UPDATE*** I checked the rest of the episodes and just the one in Disc One appears to be 16mm. The rest are sharp, clean (and look to my eyes new scans) 35mm with excellent color. You won't be disappointed!! Good news, John. Are the episode run times in the 50:00-51:00 range? I normally just jump in and binge watch a disc at a time. Since I am not sure if Shout! will continue, I am trying to parcel these out so I can savor the series. I do not think the set was remastered (at least not like Gunsmoke, Mannix, Perry Mason, Mission:Impossible), but it does look mighty good. The show is appropriately dusty and the colors are very vibrant on the first two episodes I have viewed (originally aired as a 2 hour pilot). I was pleased to see the run time around 50-51 minutes as I believe that is correct. The first disc has five episodes on it, but the shows did not seem to suffer due to this. Note: I realize it is television, but these eps. did bring out something I have never noticed before. The frontier women all had fine looking manicures. Just a small anomaly ;). I am really pleased with how this series looks so far. Next one I view will be the third episode that has already been mentioned as looking rough. Will try to post as I view these. Jeff, hope this helps. 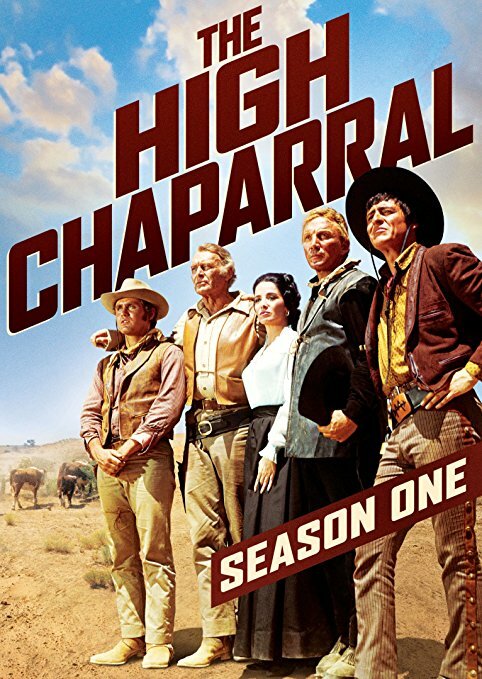 I believe The High Chaparral episodes are remastered but with five episodes per disc the bitrate will not be as high as on Gunsmoke, Bonanza, etc. These are beautiful fully remastered HD transfers. I just got Shout! 's S1 of High Chaparral. I only paid a little over $14 US for this, a great value for this beautiful set! Episode 3 does represent a strange anomaly though…as John has mentioned, episode 3, The Ghost of Chaparral, begins with what appears to be a more faded 16 mm look…but strangely, at the 17:46 mark, it transitions to the beautiful HD quality right through to the end of the runtime. All the other episodes I checked are likewise the beautiful HD transfers with vibrant color. Yowsa!! Barbara Luna, what a stunner! Yep, that'll get the ol' ticker pumping quite nicely, Randall! Seriously, thanks for the screencaps. The transfers do look great, bright, colorful and nicely-detailed. Will buy this set with confidence. This set is an incredible bargain, I pre-ordered it on Amazon Canada, and by the time it shipped it was $18.78 Canadian, which is currently a little over $14. I don't know why the price point on this set is so low, but I hope Shout sells plenty of them, especially at Walmart and other bigger retailers. Hoping for them to release the rest, which I will buy even though I have a R2 complete series edition. I of course prefer to have it in R1 NTSC. I haven't checked out the bonus features yet, an interview with Don Collier and the documentary, How the West Was Shown…very impressed that Shout also went the extra mile to include bonus features. Barbara Luna was also married to Doug McClure (one of his 5 marriages). I recall one of the times Burt Reynolds guest-hosted "The Tonight Show". One of Burt's guests was Doug and Burt said they were going to have all of Doug's wives on the show but sadly, the bus broke down on the way to the studio. Funny! Funny, for sure, but I think ol' Doug had the last laugh. No slouch he, being married to a world class hottie like Ms. Luna (still can't get over those bee-YOO-tiful shots of her above). Just checking. Can somebody tell me what are some of the best "comical" episodes of HC? I remember they had some excellent stories. There was the one with the prohibitionist lady who smashed down the saloon, and the one with Buck and Manuelito trying to purchase some lake filled property when there was a drought coming. Comedy hijinks ensued. Any others that come to mind? Almost 20 years earlier, Barbara Luna played one of Emile de Becque's children (namely, Ngana) in the original cast of South Pacific. She and Michael De Leon (as Jerome) sing "Dites-Moi" on the 1949 cast album. I can't remember which episode it was, but there's a great scene where Buck (Cameron Mitchell) gets duded up into his finery for a dress up formal dinner…Don Collier's reaction is painfully stifled laughter, much to Victoria's (Linda Cristal's ) chagrin…and the camera slowly pans up Cameron Mitchell's body, starting at his pigeon toes, ha, ha…he has a truly awkward formal ensemble going…and his hair slicked down and parted at the middle! Holy Toledo Batman! I just got around to placing my order for season 1, and now I see that Shout is releasing season 2 of High Chapparal on December 11. I love it when they do that! Holy Toledo Batman! I just got around to placing my order for season 1, and now I see that Shout is releasing season 2 of High Chaparral on December 11. I love it when they do that! Same here. I thought it would be about a year before Shout would release second year, now it's only three-four months. 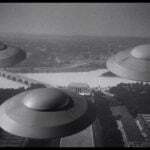 Wish CBS would release Beverly Hillbillies, Bonanza at this speed. It's a bit of good news. Do you remember any others? The scene where the women in town broke down that saloon was the comic high point for me. Both Bonanza and High Chapparal did some fine hilarious episodes, there are times I would think the comical episodes were better than the dramas. Can somebody tell me what are some of the best "comical" episodes of HC? Best news I read today. Just two more to go. The announcement of season 2 of The High Chaparral being on the way is indeed great news, esp. in these days of vintage TV on DVD scarcity. Hopefully this is an encouraging sign of decent sales for season 1. Classic western series seem to be consistent sellers…probably boosted by exposure in Walmarts and other stores in the fly-over states and rural areas, which still seem to be full of fans of that genre. At any rate, may all 4 seasons see a swift release over the next year or so. I'll be picking up the first couple of seasons, at the very least. As I've said many a time before, so did I about Hart to Hart— Shout! completed the remainder of that 1979-84 ABC mystery/romance series in short order from when I first heard about their third-season (1981-82) release and put in for it direct from them! If The High Chaparral can get out in full just as quickly, that'll be amazing! I had never seen an episode of this show before. Even though I had said I was through doing westerns on a blind buy basis the transfer quality matter and the low price made me reconsider for this and I watched the first three episodes. The set-up of the premise is very strong and there is a cinematic feel in terms of the time it takes to establish itself. The killing of Joan Caulfield as Annalee Cannon comes off very shocking because it happens 40 minutes into the program and there has been time to see her "established" where you would be used to the idea of her as a series regular. That helps make the human drama of the next two episodes very compelling with the introduction of Victoria and the arrangement. But whether this can hold my interest in a formulaic TV series once the format is "settled" I'm not completely sure of. I'm more apt to sample the rest based on who appears etc. rather than go all the way through as I tend to do with a lot of shows I'm just getting introduced to (and ultimately shows like this will work great for when I do marathons involving a specific guest performer). Glad you're giving The High Chaparral a try, Jack, despite your general apathy to TV westerns. I remember being impressed with the opening 3 episodes of this myself…quite an epic feel to it. Leif Erickson is a gruff, somewhat unsympathetic lead at first, a very different patriarch than the openly warm Ben Cartwright on Bonanza. It's no surprise that Cameron Mitchell's freewheeling, fun-loving Buck, and the sensitive beauty Victoria (Linda Crystal) become the audience-identification figures. Glad you're giving The High Chaparral a try, Jack, despite your general apathy to TV westerns. An apathy that I once shared, until the opportunity came along to first experience Have Gun, Will Travel, and then Wanted: Dead or Alive— both quite sterling examples of that genre. From IMDB: Victoria is over shadowed by the memory of Annalee. The rigid Big John refuses to let her make changes as he still feels their marriage is an arrangement with her father. A confrontation with Apaches and Victoria's old beau force a change. Blue rescues an Indian from torture (committed by Don Montoya's men). The Indian is brought to Chaparral and treated. Victoria is feeling the pressure of being wife in name only, overshadowed by the "ghost" of AnnaLee. While talking to AnnaLee, she is held by Indians. She is used as a bargaining chip in order to secure the release of the tortured Indian. they also want Don Montoya's men who perpetrated the crime. Feeling unappreciated, Victoria is looking to leave when a former beau shows up. Due to all of the activity, Don Montoya is travelling to Chaparral to reclaim his daughter and end the agreement. Victoria is faced with a major decision. The episode highlights what makes this show appealing to me. John and Victoria are having to work through major adjustments in their "marriage". John and Blue are circling each other in their father/son relationship and Buck just seems carefree. Great characters pretty well defined for three episodes in. Outside of the teaser seeming a bit washed out, this episode looked just as the others I have viewed. I am trying to entice my wife into watching this. She normally runs away any time a western is on. I hope this one can change her mind. 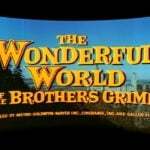 My apathy has generally been toward seeing more westerns that are obscure come out while a lot of other non-western titles get stalled out or are unreleased (you will never convince me in a million years that Zane Grey Theater deserved more releases than Burke's Law as far as Four Star titles go!). It's because this one counts as a more "prestige" title in the overall pantheon that I would have given a shot five-six years ago when I was casting a wider net. Plus, I've gotten to know Henry Darrow so well from a ton of guest villain of the week shots in 70s shows (and his brief stint on "Harry O") that I might as well see a little of what boosted his profile to begin with! I believe that I may have actually interested my wife in this series (well, Billy Blue seems to have done the hard work ;), she likes his eyes). I may be going through this set a bit faster. We viewed an episode at lunch yesterday and today. From IMDB: Buck unknowingly hires a group of Army deserters at the same time an Army patrol stops at High Chaparral documenting fights with the Apaches. When a troop takes high level Apache hostages, Cochise attacks returning the favor. Buck makes an impulsive hire and comes to regret the decision as it affects Blue. Blue, still seeking his Father's approval keeps trying to be noticed. The Army and the Indians keep having skirmishes that intrude on the peaceful life of the ranchers. Another strong episode that stays focused on the Cannon family and how the outside world brings trouble. Nice to see that Blue becomes the "Best Man For The Job" in his father's eyes. From IMDB: Blue needs new boots and the ranch needs supplies but cash is limited. Big John agrees to let Blue join Buck on a trip to town for supplies along with Manolito. However, the three lose their guns and the money on poker, drink, and women. The first comical episode that shows great cameraderie between Buck, Mano and Blue. Some of the comedy seems forced, but it does get better as the series progresses. Interesting to watch John try to figure out what has ticked off Victoria (and even more interesting that Buck provides the solution). Well after doing the first three, I sampled another five based on plot summaries and guest stars. The one which involves Geraldine Brooks as the revenge-minded widow of the former ranch owner has a powerful performance. The Jack Lord episode as the stepbrother of the deceased Annalee was painfully predictable. All in all, as I expected, the powerful cinematic sweep of the first three episodes has settled now into a formula that doesn't lend itself to me as a show I can handle in large dosages. Speaking as a total newcomer to this show with not a single episode seen beforehand, I really came away finding the weak link of the whole setup being Linda Cristal's Victoria and the arranged marriage. The power of the first episode were the viewer gets to know Joan Caulfield's Annalee on an equal footing with the rest of the family members who will be regulars is what makes her murder a shock, but unfortunately it also I think robs the show of what might have been a more interesting family dynamic for a regular series. We got to see how she was a character that truly complemented Big John and what she would have brought to things. Which now brings me to the other problem. I'm just not coming away with a positive impression of Linda Cristal's Victoria. The whole dynamic of a father just forcing his daughter into a marriage for the sake of a political arrangement just comes across as distasteful to me. It not only makes Frank Silvera's Montoya come off as much less the noble figure the series always tries to assure us he is at every other possible turn, it also makes Victoria come off as very weak. We see her just meekly accept this without any qualm whatsoever, and then on top of that I have to say she shows an appalling lack of tact in which she seems so quick to want to assert herself as the lady of the house etc. While I give the show kudos for trying to make this a more painful period of adjustment stretched out a bit (whereas other shows would have just dispensed with in short fashion), I think the execution was just a bit off overall. At any rate, that's my eight episode indulgence for now. I'll probably come back to other episodes as necessary when there's a guest star marathon to do. I'm glad I added this to my collection but I think overall the strength of the opening episodes reveals more to me a story that would have made for a great one-off movie epic but not an overall sustained series I could stay immersed in. All in all, as I expected, the powerful cinematic sweep of the first three episodes has settled now into a formula that doesn't lend itself to me as a show I can handle in large dosages. I had a similar reaction to watching the first two episodes of The Big Valley several years ago. The epic feel, action and cinematography of those opening episodes (with their overarching story) were quite impressive. Then quickly the series settled into the solid but less epic groove it would follow for the next four years, and became a bit too soapy for my tastes. It's still a well-made show I like to sample at random here and there, but will never count as one of my favorite western series. Don't remember having any problems with Linda Crystal in past viewings of Chaparral. I'll see what I make of her performance when I get a hold of the season one set. I have to admit it's been a while since I saw the initial episodes of "The Big Valley" but I have always had a comfort zone with the show's established format (save for those S1 episodes that refer to and show the later forgotten youngest Barkley son who is at Harvard) overall. But it may well be that if that show had gone the route of "The High Chaparral" and say, introduced us to and let us see the Tom Barkley character in the pilot and showed him having a dramatic death and then it would all be about Victoria Barkley learning to become the head of the family, the result might have been something more powerful but one that would have weakened the format. 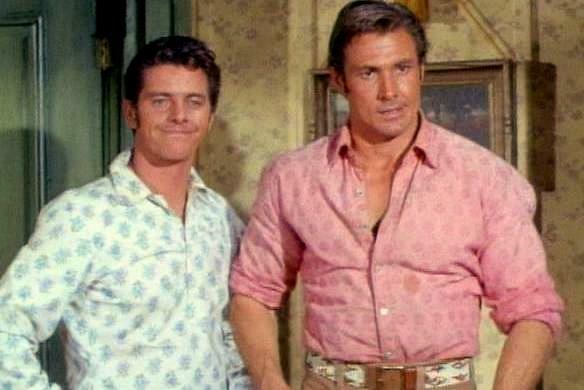 It's maybe worth noting that all the famous western shows of the 60s that involved families on a ranch never showed us the traditional family unit in terms of both parents living and their children etc. Bonanza with the three time widower (I admit that one still taxes my standards of credibility), High Chaparral with the gruff patriarch with the young second wife, Big Valley with the strong widow, and The Virginian for the most part was giving us the widower or bachelor ranch owner (save for the brief period when it was John McIntire and Jeanette Nolan running things). Another western from the late sixties that followed this pattern, in both aspects, was Lancer, a two season series with the great Andrew Duggan as the patriarch'owner of the ranch, his two sons (from different wives) and Elizabeth Bauer, later of Ironside, as the young female living with them, being the daughter of Duggan's friend and administrator of the ranch, who's killed in the first episode. Like Big Valley, the first few episodes are the best, as they follow a kind of arc: how the two brothers meet each other in transit to see their father for the first time and the animosity that at first develops between them, as well as the story of how the family adopt the young woman as one of their own after her father's death. Later, of course, as has been said of the other series, it settles into a pattern. It lasted just two episodes, but I liked it, and it never turns into a a female audience oriented western like Big Valley. I always enjoyed Lancer and wish it was available also. Not a bad price! I'd like all future releases to be at most that price or lower (not that I care for the show, mind you; I'd simply like its fans [you included, apparently] to not pay too much). 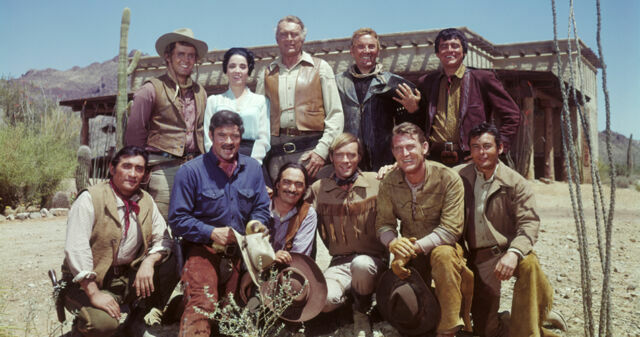 Been over a week and I was feeling the tug of The High Chaparral, went through the next two episodes this afternoon. Young Blood (1.6) Frank Silvera, Alex Montoya. John needs to purchase livestock and a bull for the ranch. He also needs to be negotiating with the Army for the sale of beef. What to do, who to send to Montoya since Buck foolishly broke his leg. Blue and Mano are sent to make the purchase and things go awry. I enjoyed this one. John and Blue are starting to understand each other just a little bit. Shadows On The Land (1.7) Kevin Hagen, John Pickard, Jan Arvan. From IMDB: John has a contract to deliver 500 head of cattle to the Army at $10 per head but he has trouble finding enough cattle on the ranch to fill it. He offers to buy cattle from smaller ranchers for $7.50 but learns they are forced to sell their cattle to Dolph Tanner at a price he sets – $3.50. After killing an Apache, they find he had a new Spencer repeating rifle. John tries to change the local ranchers mind about selling to him but with no luck. At the same time Buck surmises that Tanner is selling the rifles to the Apaches in return for protection from them. More a traditional western story focusing on a ruthless baron using underhanded tactics to maintain his power. Dramatic final act where Blue and Mano save the day. Continuing to enjoy these excellent looking and uncut episodes. So different from what is shown on INSP. I felt the need to visit the ranch again and I did so with the rest of disc 2 over the weekend. The Filibusteros (1.8) Dan O'Herlihy, Frank Silvera. Always good to see an appearance by Senor Montoya. Very interesting story. A story of divided loyalties; Mano and his family vs. Jake Lanier and Buck. The Doctor From Dodge (1.9) Jack Kelly, Bob Hoy. The title had me thinking of Doc Adams, but I should have known better. 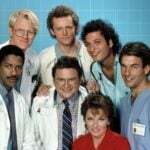 A very enjoyable episode since the doctor (dentist) had a fluid code of honor. Easy to guess who he actually was. Enjoyed the look on Big John's face when he realized his identity. Sudden Country (1.10) John Kerr, Jan Shepard, Robert Hernandez, King Moody. Greenhorn with romantic fantasies of life out west does everything wrong and nearly loses his wife to Buck. This episode had more print damage than any prior episode and the story was a bit melodramatic in making its point. Not a bad episode but definitely goes out of the way to show how unrealistic Creed Hallock approaches life out west. For those who picked up the second season set, were there any extras? There's an interview with Henry Darrow. Also an audio commentary by Don Collier on "Follow Your Heart", an episode that featured him prominently. And all 26 episodes in very good-looking condition! Blue would have been a more tolerable character if he was a kid. What would be the timeline on that third-season release (that one being 1969-70)? Just saw it on the Shout website, scheduled for April 23. Sweet. If we're that close to it, then I think that bodes well for the final one (1970-71) to come out very soon after that, and possibly an all-in-one! Great news! Just received S1 and watched the first episode, "Destination Tucson," tonight. Very strong opener. It must have been quite a shock to audiences at the time to see a (seemingly) main character killed off in the pilot. That whole scene was pretty eerie, with the sounds of the crying baby on the wind. Henry Darrow has just one brief scene, but makes a strong impression as Manolito. Leif Ericson as Big John Cannon is very gruff and not entirely sympathetic, but he's nicely balanced by Cameron Mitchell as the affable, devil-may-care Buck. Fun to see veteran western faces like Don Collier, Roberto Contreras and Rodolfo Acosta in supporting roles (although it seems a bit rich to call Acosta's character simply "Vaquero," i.e. "Cowboy." Doesn't he deserve a name of his own? And for fans of beautiful actresses from the days of classic television, there's the presence of Jacklyn O'Donnell, as a VERY pretty saloon girl named Jo. The episode ends a bit abruptly, but I like the mildly serialized nature of these opening episodes. Looking forward to digging further into the set. Great news! Just received S1 and watched the first episode, "Destination Tucson," tonight. Very strong opener. I just finished the last disc of season 1 this afternoon. I enjoyed the interview with Don Collier and "How The West Was Shown". Not specific to The High Chaparral, moreso to a variety of vintage westerns (James Drury, Robert Fuller, Andrew Prine, Earl Holliman, Denny Miller, Gary Chalke, Peter Brown). Interesting stuff. A father son hunting team is killing Indians (Apache) for scalps -$100 apiece. The son is injured on the Chaparral and is treated and recovers under Victoria's care. John orders the father off and the son wants to work on the ranch and not kill Indians. The ending surprised me. Ramon Novarro, Laurie Mock, Penny Santon, Angela Clarke. Mano is snake bitten and finds his way to a deserted church. he is cared for by traveling Sisters. A Romeo @ Juliet tale play out over a novitiate's desire to go with a violent man (to save others) or follow her heart to serve God. Pat Hingle, Ron Hayes, Rex Holman. An embittered Civil War vet holds a grudge against John Cannon. He has an elaborate plan involving kidnapping, mental and physical torture and imprisonment to exact his revenge against John. After dividing John from his men, the plan is put into place. Carr's brother is not fully invested in this plan. Another great guset appearance from Pat Hingle. I always enjoy his episodes as he is an extremely interesting actor. This role of the wounded Civil War vet is just another great character part. The episode needs a strong antogonist and he gives it in spades. Nice way to finish out seaon 1. Season 2 moves into rotation soon. Hi Doug! I do know the story picks right up again in episode 2 (and sort of concludes in ep 3) from my watching this show many years ago…but I don't think it's technically a part 1 or part 2 situation, exactly. 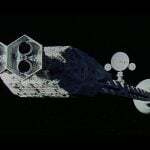 Most multi-part stories at the time seem to have the same title broken into 2 (or in some cases, 3, parts, as in Mission: Impossible season 4, "The Falcon"). This seems more a case, like in the early seasons of The Beverly Hillbillies or Petticoat Junction, where each episode is essentially standalone but often the next one continues a mini story arc. "Destination Tucson" seems structured as a standalone episode to me. Of course, I'm just being pedantic and splitting hairs, as to all intents and purposes these first three episodes act as a three parter. I guess my comment above was more directed to where, and how, the first episode ends…it seems somewhat anticlimactic, when the previous scene (the aftermath of Annalee's funeral, with Blue moving towards Big John for some kind of comfort, and John walking away) is a more powerful, emotional note to end the episode on. Thanks for the season 1 wrap-up comments…looking forward to your thoughts on season 2! Have placed a pre-order for Season 3 that is due April 23rd. Started watching The High Chaparral – Season 2. The Stallion (2.1) Strong opener that focuses on Blue and his desire to own a black stallion. Only problem is a chief's son also has eyes on the horse. Blue gets him first, trains him and has him stolen. Chatto then works with him. The families meet and witness a fight for the horse. the stallion has divided feelings and makes an unusual choice for series television, but seems true to the animal. I liked this one. Ten Little Indians (2.2) Blue and Buck discover Indians that have been attacked and left for dead. Our boys then discover two little Indians. Providing for them means heading back to the Chaparral. Victoria's heart will not let John take them off the ranch even after they discover the oldest is the grandson of Geronimo. Eventually 10orphaned Indians are on the ranch and become the target of Geronimo's enemies. Will the men of Chaparral and Geronimo fight together? Follow Your Heart (2.3) A Sam Butler love story. Excellent story with Ed Begley, Miriam Colon and Abraham Soafer. Sam gets distressing news from home and feels he must go on a mission to kill a family member. He goes it alone but all of the men from the ranch feel a love for Sam that can only be shown by providing physical support. A most excellent episode that uses one standard western series trope. Supporting cast can't stay happy. Tornado Frances (2.4) Buck gets involved with a lover's spat by purchasing a bar without knowing there is a very indignant young woman leading the temperance league along with Grandma Walton (Ellen Corby). If this sounds amusing, it is not one of their serious efforts. Look for Dub Taylor and his son Buck Taylor in a poker game uncredited part. The Covey (2.5) Buck can't ammo in town because a gang has purchased the last of it. The gang is lead by El Lobo who has a history with Mano. This is a revenge story that showcases how wily Buck can be when his back is against the wall. Anthony Caruso is Mano's enemy. Mano get's even with El Lobo's girlfriend because she betrayed El Lobo. Poetic ending for her shenanigans. This series was a favorite of mine when I was a kid. Very glad to see it's now available. Walmart is currently advertising the complete series, for a very good price on DVD. Based on reading your comments above, this must be a European release (although it's clearly not the PAL version – different packaging). I would think they would have to identify it, if it was, since it would not be playable on a dvd/blu ray player in the USA region. Is anyone aware of what the situation is with this Walmart version? John Clark2, the distributor is Via Vision, an Australian company. The Amazon listing says it is an all region NTSC import with 26 Discs. The Via Vision site claims they license things from Paramount. But at this point, to be safe, you should wait for Season 4 from Shout!. Based on how fast the other three came out, Season 4 should be announced shortly. Looks like an official Australian release. It is PAL in Australia so I think the listing saying NTSC on Amazon is a mistake. Unfortunately, I was pretty excited to buy the complete series for $86.19. Now it appears that it isn't a legitimate offering, and buying the four individual seasons from Shout (assuming they will be bringing out Season 4) is much more expensive. Oh well, too good to be true, I guess. I have to confess I haven't found the urge to return to this series after my six-seven episode sampling of Season 1. Again, the problem was that the pilot episode was so strong and its high drama just in the end settled into a format I didn't think was as strong as what I was initially seeing.